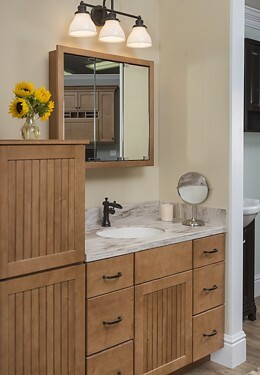 The Whittaker vanity from the Schrock Trademark cabinetry line is perfect for a cottage style bathroom with warm, inviting colors. The custom linen tower features a hamper in the lower section and matching wood top. A tri-view mirror hangs above offering additional medicine storage.